The Toro play kitchen is ideal for future star chefs. With the play kitchen the little ones can playfully prepare their favourite dishes and create imaginative recipes. 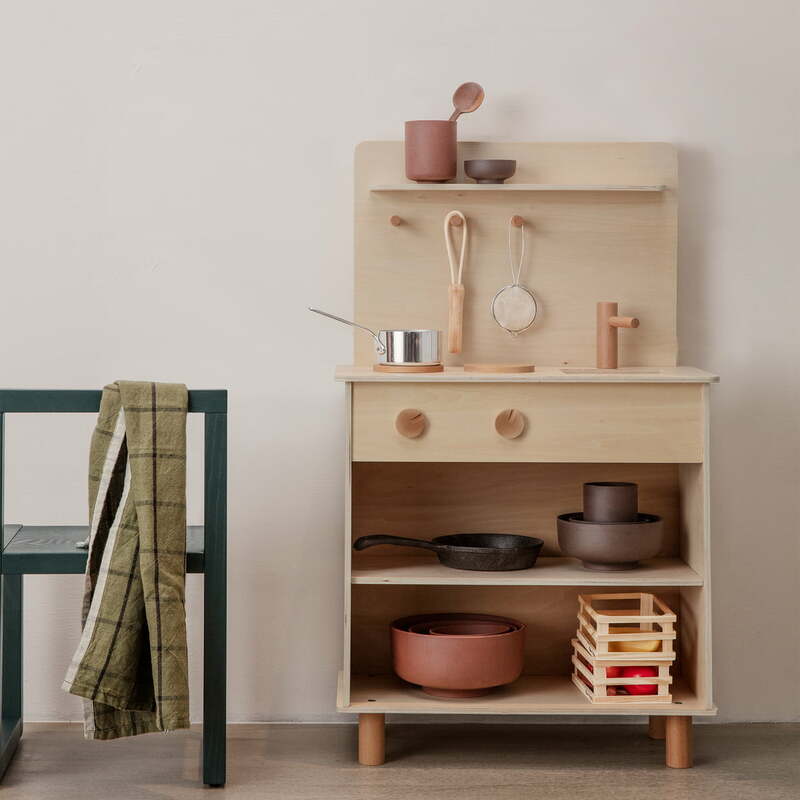 Made of plywood, the kitchen is wonderfully robust and is therefore ideal for use in the children's room. The kitchen has a sink with tap, two hotplates, three hooks and shelves for storage. The small details are made of solid beech wood and stand out slightly from the fronts in terms of colour. The kitchen can be equipped with matching children's crockery from ferm Living. Toro play kitchen in beech by ferm Living in single view. The Toro play kitchen is ideal for future star chefs. 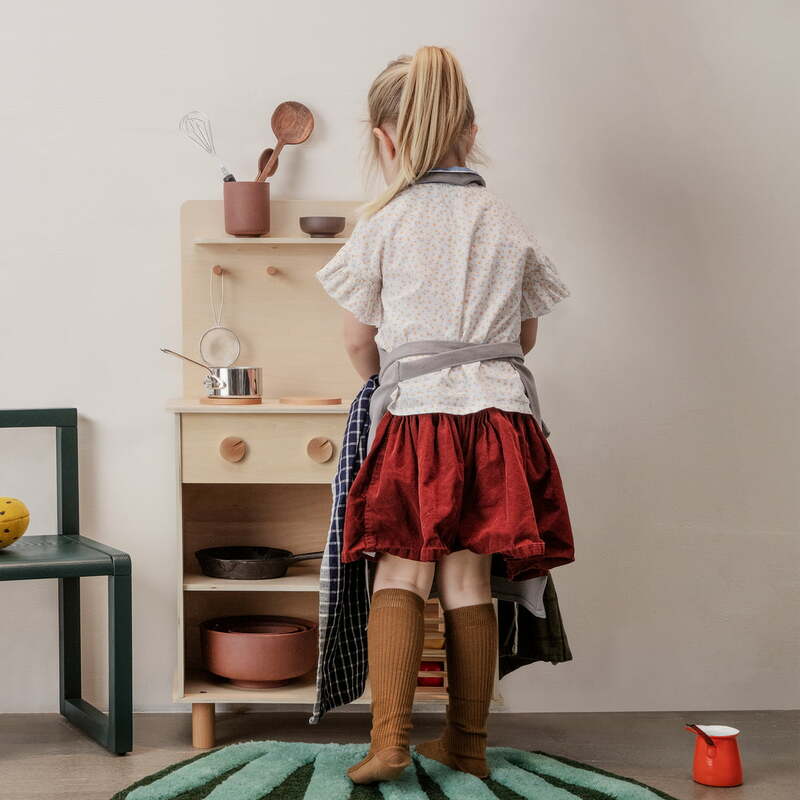 In the small kitchen corner the little ones can playfully prepare their favourite dishes and create imaginative recipes. Toro play kitchen in beech from ferm Living in the ambience view. 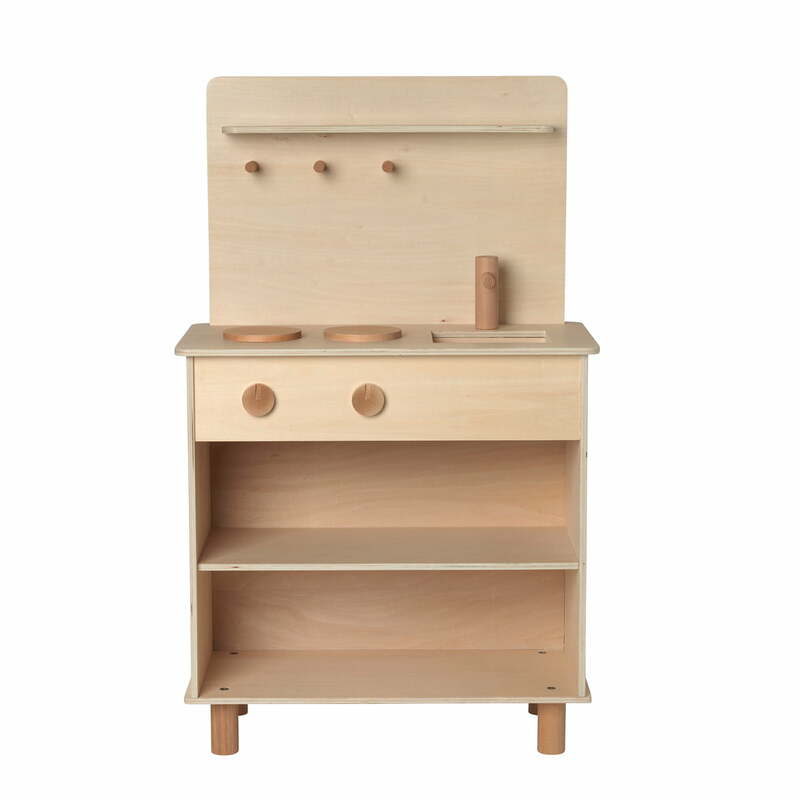 Made of plywood, the kitchen is wonderfully robust and is therefore ideal for use in the children's room.